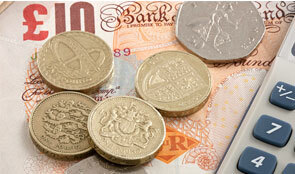 The Money Advice Service’s provision of debt advice to consumers has achieved value for money. But its provision of generic money advice is not yet achieving value for money, according to the National Audit Office, though moving in the right direction by starting to target resources at the areas of greatest need. Since, in 2012, the Service took over responsibility for commissioning face-to-face debt advice from the Department of Business, Innovation and Skills, it has improved the standards of advice throughout the sector. The Service provided 158,000 face-to-face debt advice sessions in 2012-13, an increase of 58 per cent on the previous year. Today’s report underlines how vital money advice is for some consumers to make effective decisions. The Service’s Financial Capability of the UK survey showed that 36 per cent of consumers in the UK sometimes or often run out of money before payday and the proportion of people with savings has decreased from 75 per cent in 2006 to 62 per cent in 2013. Thirty-five per cent do not understand the effects of inflation on buying power. As a result of the timetable which the Service had been set for providing advice services, it launched its advice provision in April 2011 before analysing the need for, or availability of, money advice. The Service is now improving its understanding of the need for advice and, with the development of the UK Financial Capability Strategy, it is also developing its influencing role. Although the Service adopted a ‘digital first’ strategy, evidence is mixed that the digital platform is meeting consumers’ needs. The Service estimates that over 2 million consumers used its website in 2012-13, and 195,000 accessed its phone, webchat and face-to-face money advice channels. Following an £18 million marketing campaign, visits to the website increased by 400 per cent. Of the customers who have used the Service so far this year, 86 per cent agreed that they received the information they need and 91 per cent agreed they would revisit the Service. However, it is not clear that the website is directing those who need more assistance towards phone or face-to-face channels. In addition, an estimated 17 per cent of households still lack access to the internet, which might mean that some of those in most need of money advice cannot access the Service. The proportion of consumers using a tool on the website, such as a budget planner or savings calculator, has increased from 13 per cent in June 2012 to 25 per cent in July 2013, but the time consumers are spending on the site has fallen over the same period. The Service, however, has not yet completed the development of a mobile platform, despite the fact more than half the adult population now use a mobile phone to access the internet.